As you can imagine tennis is a very high impact sport, searching for your best tennis shoes is very crucial to ensure that you have the durability as well as comfort that you need. If the tennis shoes that you choose are not good for your skills then you are going to be looking at very sore feet and legs, potential problems with your back, a less than stellar game and massive discomfort. 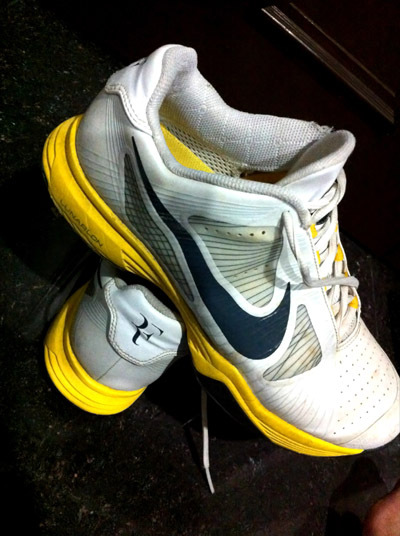 Here are 5 great tips you should take note while selecting your best tennis shoes. You should first always ensure that you know the exact size of your foot. This is not a case of guessing that your size is approximately an eight is good enough. You need to know the exact size, without this information you could purchase the wrong size, which could cause your feet to be pinched, or could cause blisters if the shoes are too large. If you are not positive on the shoe size that you wear you need to see a professional at the shoe store to determine your shoe size before you do anything else. Your next step is to determine what type of foot you have. The three major types are ideal, pronated and supinated. Depending on the exact type of your foot, your choice of shoes will be impacted. Not all shoes are suitable for all feet types. If you have a supinated foot then you should not pick out a pair of shoes that are designed for the ideal foot type. 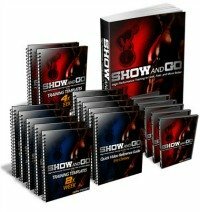 You need to know exactly how you stand on your foot in order to know the type of feet that you have. An ideal foot would wear the shoes evenly all across the bottom. Someone with a supinated foot would wear the shoes on the outside heavily, while the inside of the shoe was virtually untouched. A pronated foot would wear heavily the inside of the foot and often the arch area is badly worn as well. A pronated foot typically has a much higher risk of injury so having the best tennis shoes is not a luxury but a requirement. Once you have determined shoe size and foot type you can then move onto finding the shoes that are most suitable for you based upon style and comfort level. Many tennis players decide to wear a particular brand of tennis shoe and only wear that brand. This often happens simply because they find a brand that fits their foot well. You should always stick to the brands that fit well before you start looking at new brands simply because you know how well the brand will perform. If you can afford to purchase them, you should also look to purchase brand name tennis shoes. While a lesser known brand is the perfect opportunity to save some money, they are not likely to be as comfortable nor last as long, which will ultimately make them a very poor decision. 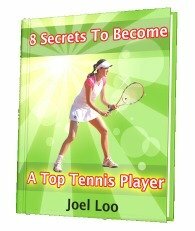 Tennis is a sport where you are on your feet the entire time you are playing; this combined with the sudden movements means that buying your best tennis shoes is not an area where you should be pinching pennies. You also need to look for a pair of shoes that provides a great amount of lateral support. This is what will help prevent your ankle from twisting as you run back and forth sideways across the court. If your tennis shoes offer no lateral support, you are increasing the risk of a sprained or twisted ankle. Always ensure that you have plenty of lateral support before you purchase the shoes. Your last consideration should be finding a pair of shoes that are lightweight. Remember you will be moving quickly across the court so you need to ensure that you have plenty of energy, heavy shoes will weigh you down and make it quite difficult to move as fast as you need to move. However, a good sturdy pair of lightweight tennis shoes that provide ample cushioning and lateral support will be your best investment. 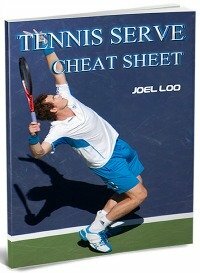 From "5 Tips For Selecting Your Best Tennis Shoes" to "How To Play Tennis Efficiently And Become A Better Player"